Hello! My name is Jill Sisson! I am a Fourth Grade Teacher! I have taught First, Fourth and Fifth at South Newton. I graduated from Indiana State University with an Elementary Education Degree. My teaching career began in Coconut Creek, Florida at Winston Park Elementary teaching First Grade. I got married and moved back to Fowler where I am from. I have two wonderful children, Hunter and Molly. I am very excited about MY new adventure in Fourth Grade. I look forward to new experiences especially with the 1:1 initiative that we have in place this year. It will be a learning experience for me and the students. I look forward to learning right alongside them. I have a passion for Reading. Like Dr. Seuss says, "The more that you read, the more things you will know. The more that you learn, the more places you'll go." I have loved Dr. Seuss since I was a child. 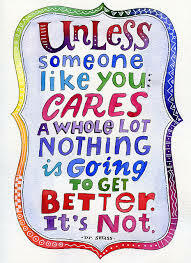 I believe we can learn a lot from Dr. Seuss. If you step into my room, you will see many of his motivational quotes around my room. Dr. Seuss can be very inspiring for any age! I am a strong believer that every student can learn and become successful no matter what the obstacles. It is a teachers job to motivate and encourage each student to reach their full potential. I lead by example and show the students what they can accomplish when they put their mind to it. When the students enter the classroom, they will find a happy, comfortable environment where they can just be themselves! It is my promise to provide many opportunities for them to be successful.